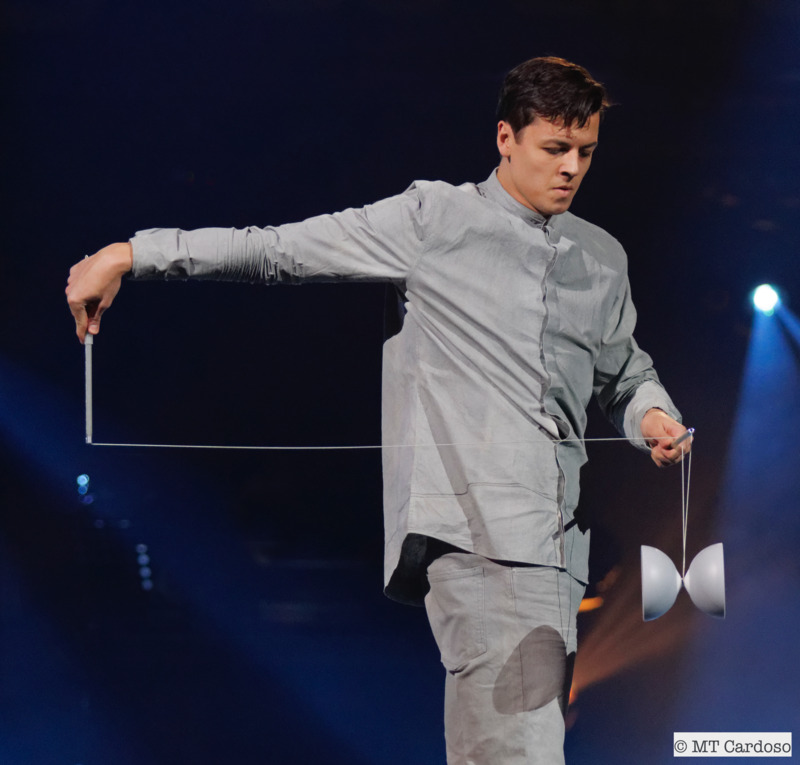 A unique special stage show which gathers both domestic and international pro juggling artists. I was born in France where I started doing diabolo at the age of 10. I have been artistically educated at Bordeaux circus school in France and later on at DOCH, the University of Dance and Circus in Stockholm, which I graduated in 2016. In January 2017, I got a special prize from the jury at the 38th Festival Cirque de Demain in Paris. I am adopting a new approach that goes away from the tradition of circular diabolo. In a quest for necessity, I often try to create by removing rather than by adding up. Thus I chose to spend time working on simple bounces as a base of my repertoire. After all, this was the first trick I had learned, which after 13 years of practice, is now completely refined. Yusaku Mochizuki was born in Shizuoka, Japan. He started juggling since 2001. 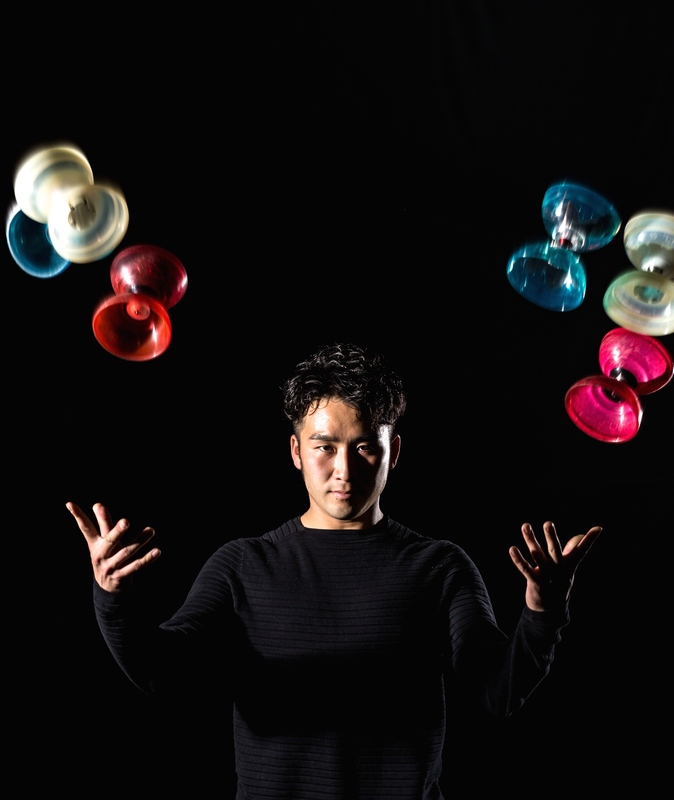 When he was studying Art at Kyushu university and Tokyo university of fine arts, where he presented his sensational act combining juggling with tap dancing and visual art. He is now working as artist. And He sometimes works with the performance group called Enra, a world-renowned company that mixes visual art, dance, and juggling. He has enjoyed presenting his act on TV and at festivals, theaters, and events all over the world, including the Cannes International Film Festival in 2015 and Shizuoka International Performing Arts Festival in 2014. 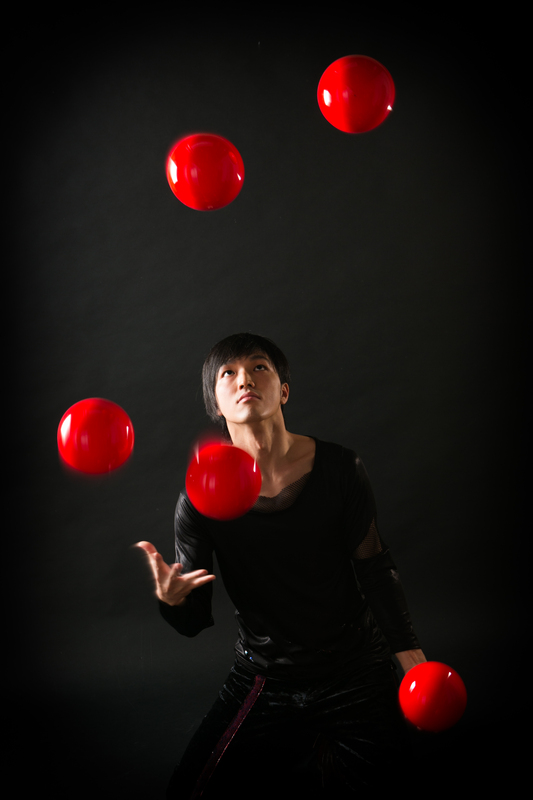 For him, juggling is not just entertainment, but also a way to express himself that merges art, sports, and performing arts. 2012 IJA World Juggling Champion and Cirque Du Soleil member. Debuted as a pro in 2010, and became World Champion in just 2 years. Became a member of Cirque Du Soleil in 2014, and has spread his activities to not only Japan but the rest of the world. Enjoy juggling of a world class level which is recognized globally.